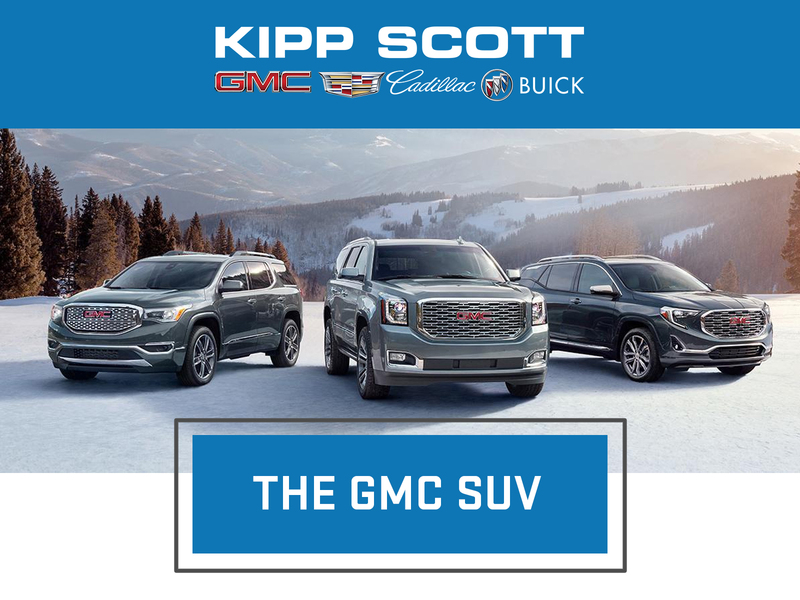 GMC offers a variety of SUVs to fit your specific needs. Choose from the full-size Yukon SUV with ample seating for up to nine adults and impressive trailering capability. Opt for the compact Terrain SUV with a standard 1.5L turbo engine and an estimated fuel consumption rating of 7.9 L/100 km highway and 9.2 L/100 km city (in 4×2 mode). Or go with the powerful, capable Acadia SUV for signature GMC utility, flexibility, and convenience. This full-size SUV brings together numerous innovations to create a new standard in utility. Under the hood, Yukon gives you a choice of powerful and efficient EcoTec3 engines. Inside, premium materials, generous seating and storage, intelligent infotainment, and available safety technologies create an outstanding driving experience. An SUV engineered to help you handle life’s demands with confidence, capability, and style. With available seating for up to seven, Acadia provides flexible and adaptable storage capacity depending on your needs. Its available advanced driver alert and infotainment technologies help keep you aware, connected, and entertained. This SUV brings together exceptional features of its category. From a distinctive exterior that leaves a lasting impression to new available features that benefit everyone such as Front Pedestrian Braking, HD Rear Vision Camera and HD Surround Vision, the Terrain delivers outstanding utility to handle the varied demands of your life. If you would like to Test Drive anyone of these SUV’s come visit us at http://www.kippscott.ca to book!